Together with four other bloggers, I was lucky enough to be invited by the Central Java Tourism Board to attend the 200 year anniversary celebration of the discovery of Borobudur temple, but we were running late! 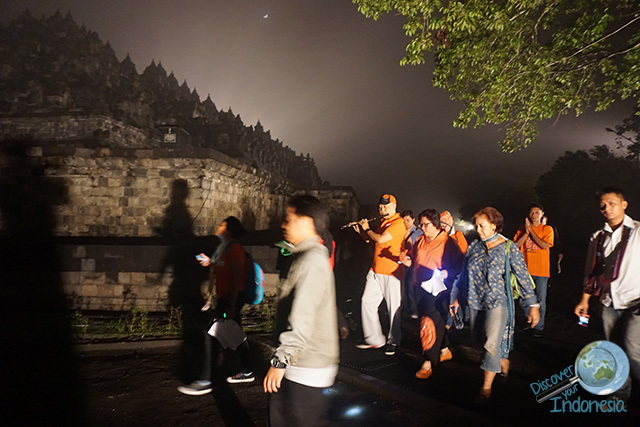 Yes it was a bummer… Trying to find the way into Borobudur in the middle of the night was not an easy task. Though I couldn’t say that we were lost, it took a while to find the right direction. Still we got there in the end. 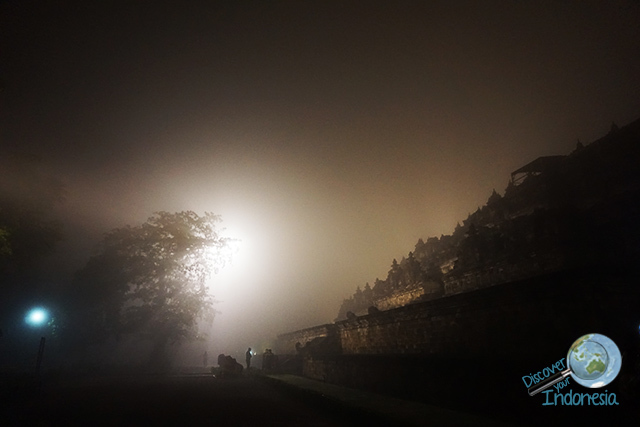 The night was foggy and when Borobudur emerged from out of the mist we were speechless… The beauty of Borobudur and the magical ambiance took our breath away. The sound of a saxophone drifted through the fog. I screamed out loud in my mind, this is so freaking cool. To celebrate the 200 year anniversary of the discovery of Borobudur, the Central Java Tourism board had organized a special night Jazz festival. It promised to be a special event, a famous Indonesian jazz musician was going to try to break two world records. There would be a movie screening of a documentary about the discovery of Borobudur. Then in the next morning there would be a 10km fun run, Borobudur 10K. Lastly, to commemorate the event, they were planning to create a “200 years Borobudur discovery” stamp series. It promised to be an exciting 24 hours. I realized that I should get hurry because I really wanted to walk round Borobudur 7 times along with Hary Wisnu, the master saxophonist. What could be more amazing than walking round Borobudur temple in the dead of night and enjoying live music played by a master saxophonist? Yes I know, I told you already that I was lucky! Hary Wisnu was attempting to breaks one of two world records. The first was to play 300 songs in 17 hours and the second to play 13 wind instruments. After finishing doing the ritual walk around Borobudur, Hary Wisnu continued the world record breaking attempt on a stage down by the Borobudur Park area (basically he was playing from 00.30-ish until 16.45). In the end he broke the two world records. 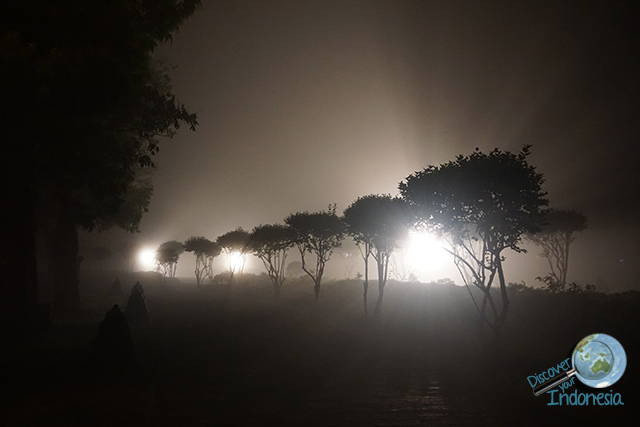 The event was remarkable, especially the night walk. 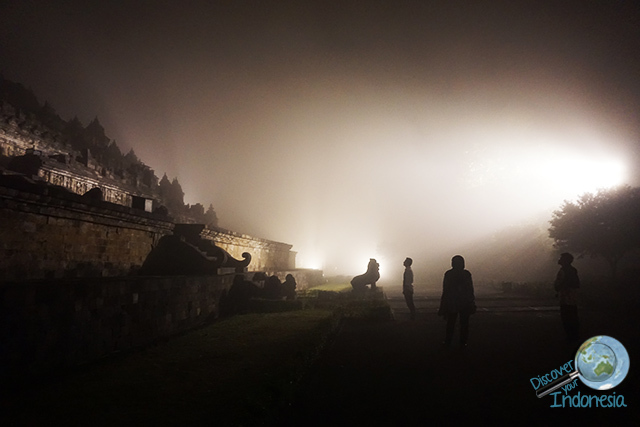 Do some research about night events that are held at Borobudur. When are they held, why are these events special. You could experience something like this for yourself. 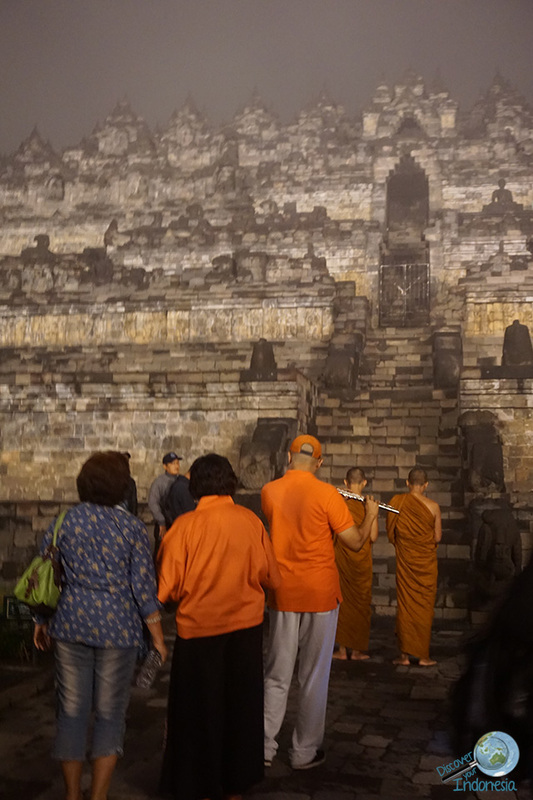 Ps: I am planning to upload a video of the night walk round Borobudur (hopefully soon!) since I would love to really show you how it was that night. Pps. I also had a chance to do a culinary adventure around Magelang with the experts (Yusmei, Fahmi, Azizah, Halim, Ratri and Dita), which I will write about it soon! Have you ever been to an exciting celebration at a UNESCO World Heritage site? How was it? 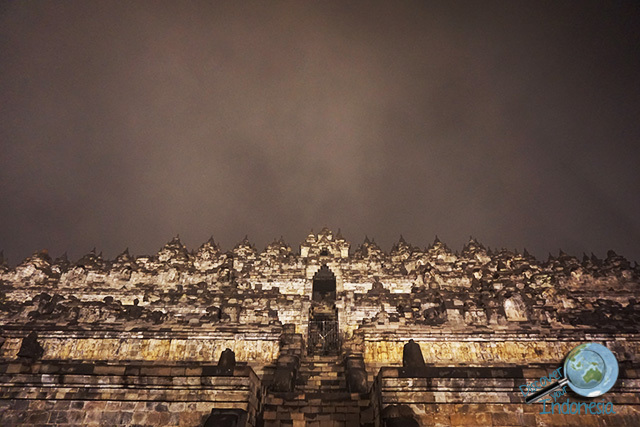 Be sure to visit Borobudur in Magelang if you visit Indonesia in the future! If you are interested in booking accommodation for your holiday in Yogyakarta I recommend Airbnb. Book through this link to receive a special $25 discount. For hotel bookings I recommend Agoda for its low price and discounts. foto-fotonya dramatis! kece emang ya event ini, nggak semua bisa dapat kesempatan langka beginian, so thankful ! 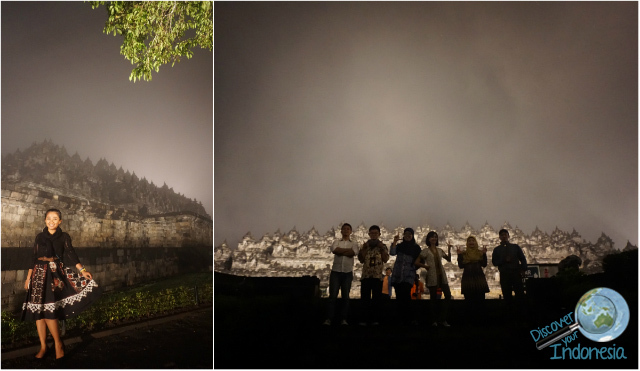 Postcard From Borobudur : The Misty Temple .. | .. Berbagi Lewat Kata ..